You’ve crafted your email, polished off each sentence, and racked your brain for the most clickable subject line. You hit “send” with a sigh of relief. You’re finished. But when you scan your email stats, you’ve noticed that your patients aren’t opening or clicking your email. No new website visitors, and certainly no office visits. You’ve concluded that email marketing does not work. Most email boxes are congested – filled to the brim with boring emails, spam, and countless ads. Consequently, it’s easy for your emails to get drowned out. This is why your email marketing campaigns must be backed by a meaningful strategy. They need to attract attention in a way that patients will be encouraged to click and read your emails, rather than send them straight to the trash bin. Below are 10 email marketing tips that’ll help get your emails opened, read, clicked – and, ultimately, “converted” into repeat appointments and patient referrals. Branding your campaigns not only enhances the look and feel of your emails, it also reaffirms trust. Keep your branding consistent by including your logo and website colors in the header. And be sure to use a branded email address (i.e. doctor@abcchiro.com) so your recipients know who the email is from. 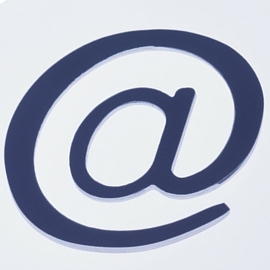 A third of all email recipients open emails based on subject line alone. The subject line of your email is your first impression. Supercharge your open rates by ensuring that your subject lines are concise, descriptive, and encourage your readers to click (You can test out your subject lines here). Over 50 percent of email messages are opened from a mobile device. Clickthrough rates plummet when your emails aren’t mobile-optimized. It’s essential that your email marketing campaigns cater to all types of devices. For instance, keep your subject line short enough that it isn’t cut off when viewing the email on a phone. It’s important to be consistent in your email marketing efforts. For example, if you run a monthly newsletter, stick to a consistent schedule, where your newsletters go out around the same time each month. Your emails shouldn’t be too “salesy.” Offer insight into how your patients can improve their health through chiropractic care and natural wellness planning. If you’re constantly trying to “sell” them a product or service, they’ll lose interest. The rule of thumb is: give before you ask. Keep your content concise, as not to flood your readers with too much information. A focused message will keep readers engaged. And the longer they’re engaged, the better chance they’ll rely on you for all their chiropractic needs. Spam filters are working harder than ever to reduce inbox irrelevance. In fact, over 20 percent of permission-based emails sent by legitimate email marketers go straight to the spam box. Understand the guidelines to keep your emails from getting buried by spam filters (Test your emails here). Consumers send and receive an average of 87 emails per day. As a consequence, attention spans have become shorter and shorter. Format your emails with at least one eye-catching photo to keep your patients reading. Have an interesting tip on how to reduce back pain? If so, patients might like to share it with their friends. Including social sharing buttons in your emails makes it easier for patients to share your content on Facebook, Twitter, and other social media platforms. Email marketing is an effective way to provide your patients with valuable information they may not typically seek out on their own. It’s a gentle way to stay connected and keep your practice top-of-mind. To keep your patients coming back – and to make them advocates for you – you need to remind them of the healthful benefits your chiropractic services provide. Showing up in their inbox with a crafted email marketing message is a great way to achieve that.